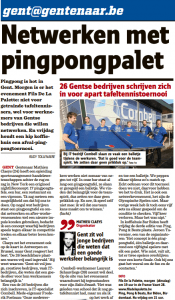 Combell knows the ping, but also ping-pong! An IT company like Combell uses “ping” countless times a day. This computer network utility is indeed used to test the reachability of a certain host via the IP network, and that is part of Combell’s core tasks: providing reliable hosting and cloud services. 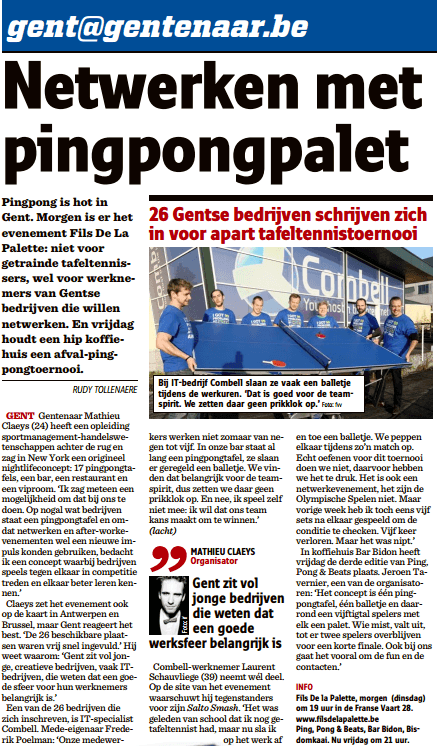 But in the next weeks, ping pong will be king: Combell will indeed participate in the Vedett Fils de la Palette After Work Tournament in Ghent. Networking is paramount – not only in order to get to know people who are not part of your company or your work team, but also to forge stronger links with your colleagues. Getting to know each other in a pleasant and sporting atmosphere, establishing personal contacts that are not job-related: it helps develop trust and goodwill. And if there is one company that values networking above all things, it is definitely Combell. The Combell Ice Cream Car hits the road to companies and events, not only to offer a very appropriate refreshment on summer days, but also to stimulate discussions and make networking possible. Combell’s collaborators also participate in sporting events such as Bike to Close the Gap, which is excellent for team building, but also for collecting money for charity. 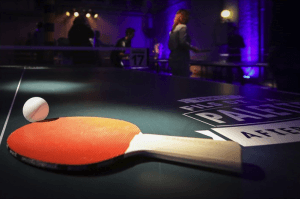 When Vedett Fils de la Palette announced that it would organise After Work ping pong tournaments in Antwerp, Ghent and Brussels, Combell did not hesitate for a moment. For many years, the ping pong table has been a favourite meeting place in the company’s bar, and many people play a match or two, even during working hours. 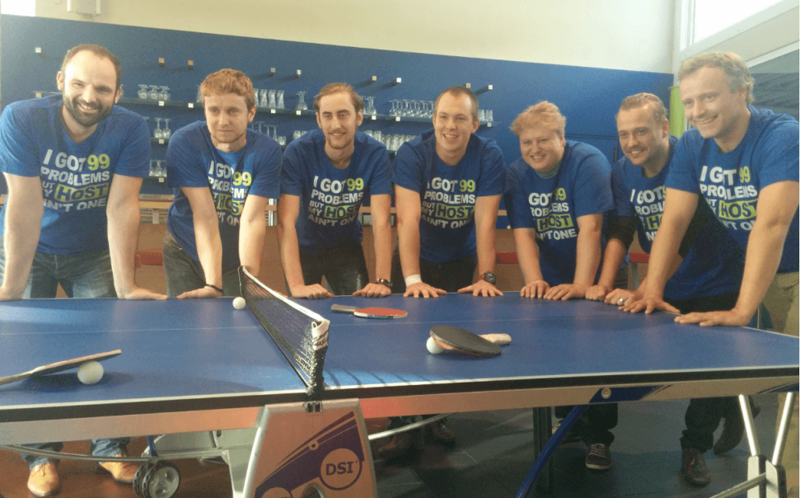 “We find this is important for the team spirit, and let our employees play whenever they want”, says Combell CTO Frederik Poelman. The tournaments will be played in Ghent on four Thursday evenings (4, 18, 25 November and 2 December) in the premises of Franse Vaart starting at 7PM. For Antwerp, the chosen location is Brewery De Koninck, and for Brussels, it is Tour & Taxis. Since Ghent is the digital capital of Flanders, the competition in Ghent has the most registrations. No less than 26 teams from different companies registered for the event. You can check them out on the website of the competition, where players introduce themselves and where you can follow the results of the tournament. The Combell team is composed of Matthias Dekeyser, Michiel Van de Veire, Laurent Schauvliege, Stijn Van Brakel, Fabrice De Kimpe, Bram Hornsby en David Temmerman. Ping? Pong! Support your favourite team! Dag van de Webshop XL: enjoyment to be tripled in 2014!